Rally obedience is a fun dog sport that encourages a positive relationship between dog and handler. Combining aspects of obedience and agility, it involves a numbered course which dogs navigate with their handler. Each course is different and provides distinct challenges as teams work their way through Novice, Intermediate, Advanced and Excellent levels. Beginner Rally is a preparatory course for those interested in discovering the world of Rally Obedience. It will provide the handler with the skills needed to navigate a novice rally course as well as giving a brief introduction to some of the more advanced skills. While perfecting our skills, the focus will be on having a fully engaged canine partner! In the Novice/Intermediate and Advanced/Excellent classes we build on the foundations established in Beginners and start to work on the skills needed to complete Advanced, Excellent and Masters courses. Classes are taught by “Change of Pace” trainer Jane McNee. The classes have 4 – 7 participants. With the multiple level options, we can accommodate teams of any skill level. 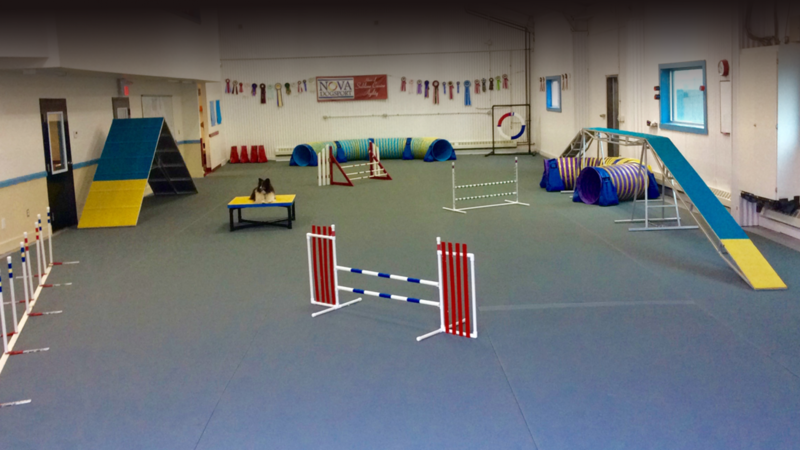 We have ample space and can accommodate dogs which are space sensitive with other dogs or people.